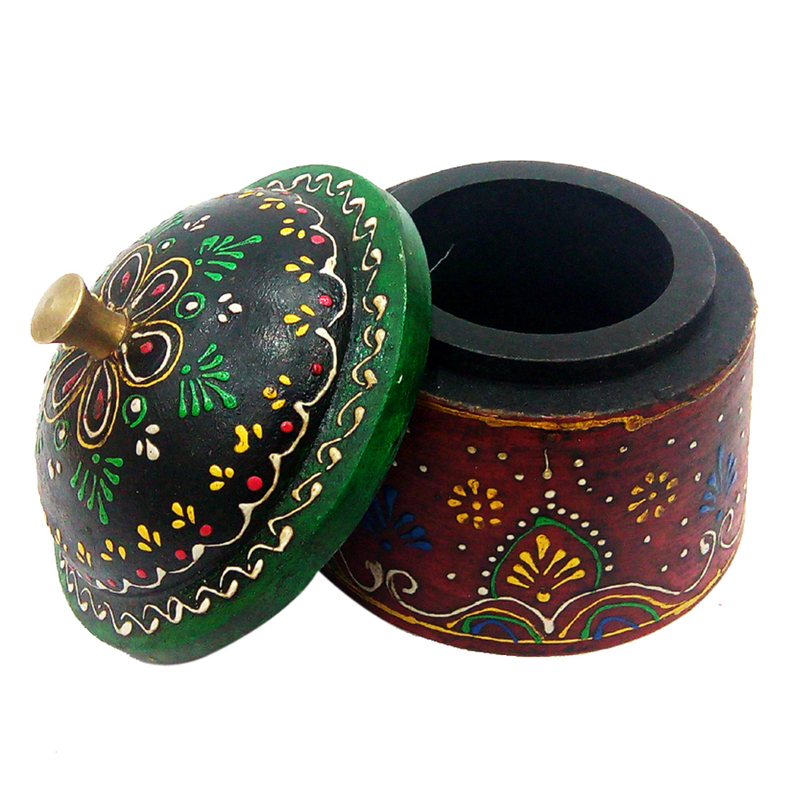 The Wooden Embossed Dibbi in Green & Maroon is sure to impress all its buyers with the intricate design work present against the backdrop of Read More..warm coloration. The green color predominates on the top part, while maroon is the main choice on the bottom half. The intricate floral and leaf design works great against the rich colors, and makes this item a piece to behold and admire for its rich display of ethnic artwork. Show Less..